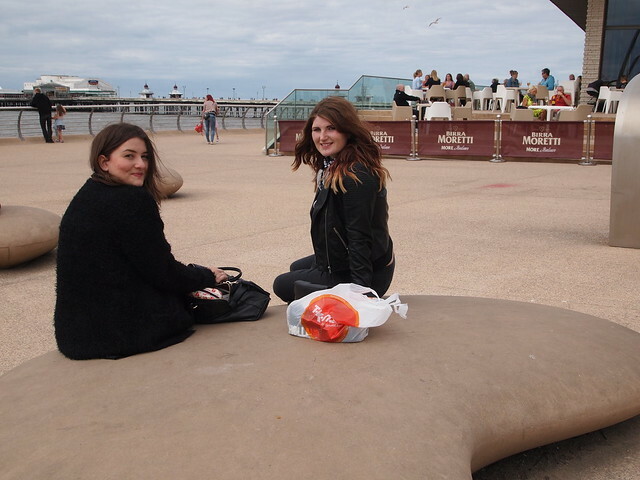 I had been looking forward to my weekend up north for ages, I love a trip to the seaside and a trip to the seaside with Alice and Danielle is even better. Alice has been my pen pal for a couple of years now and Danielle and Alice became pen pals through the pen pal exchange I set up a few years ago and have been writing to each other ever since. 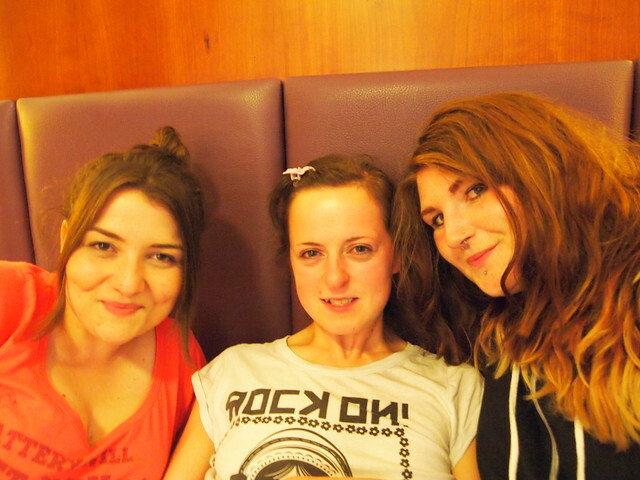 I've met Alice before at Norbury and I met up with Danielle last time I was in Manchester but we haven't all be together at the same time before. 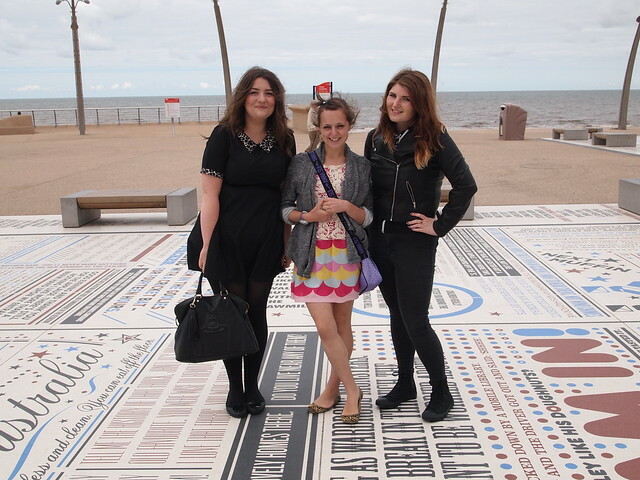 I was a little bit disappointed that I didn't get to spend time in Sheffield (and find my own Alex Turner) but me and Alice left Sheffield super early Saturday morning and drove to Blackpool to meet Danielle and have some seaside fun. Posing on the comedy carpet. All photos are a mix of my own and some that Alice took. 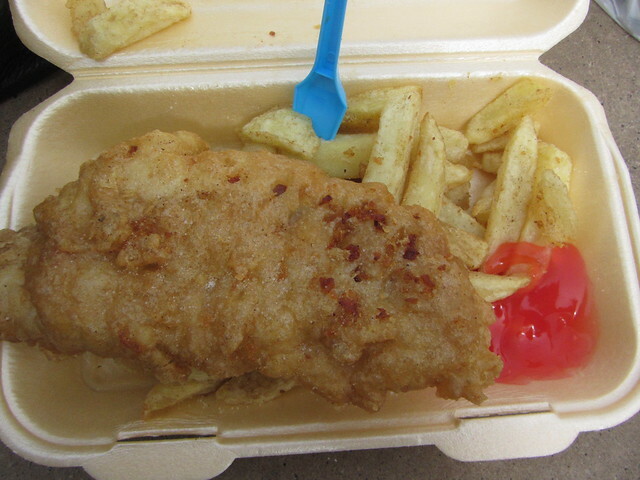 We had a day at the seaside so we had to get some traditional fish and chips. Less traditional was the odd neon pink ketchup that it came with but it tasted great. 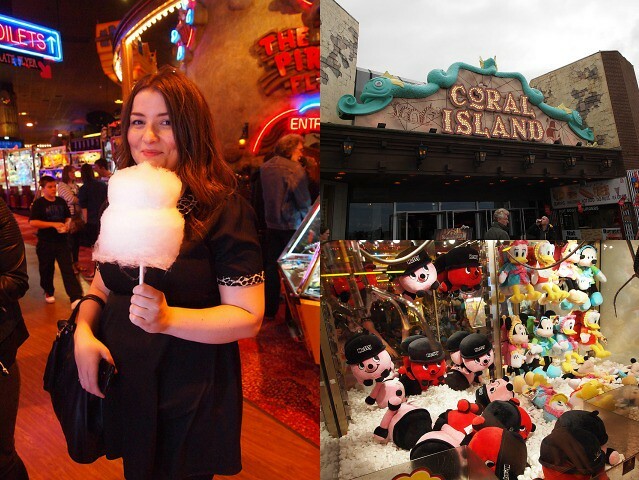 We hit the shops picking up some bargains in Primark including the huge fluffy cardi I have on in the photo above and went a bit mad in Home Bargains buying junk food and weird alcopops for the hotel in the night. 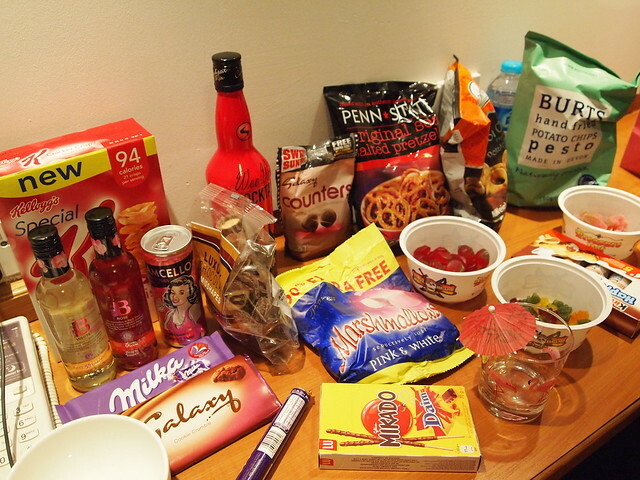 The amount of junk food we got was pretty obscene but soo good. You have to have all of this stuff for a sleepover, right? We planned on watching some DVDs but we ended up listening to music and chatting until we got knock on the wall at 1.30am to keep the noise down, oopsie. WARNING: I'm not wearing make up in the following photo. Ah Gem this sounds like a perfect weekend away. Junk food is always a must! Big approval of that junk food pic! That's my kind of haul post! 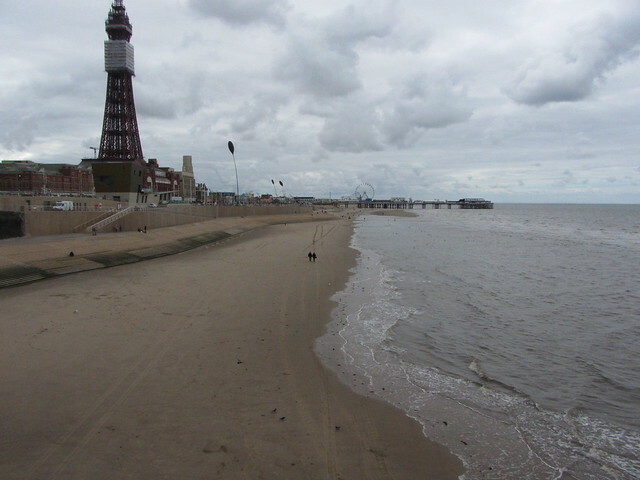 Blackpool is so much fun! We had a week there in April and we both loved it, I can't remember the last time we laughed so much on holiday! So jealous of all that junk food. You can't beat a good visit to Home Bargains! This sounds like a great weekend. 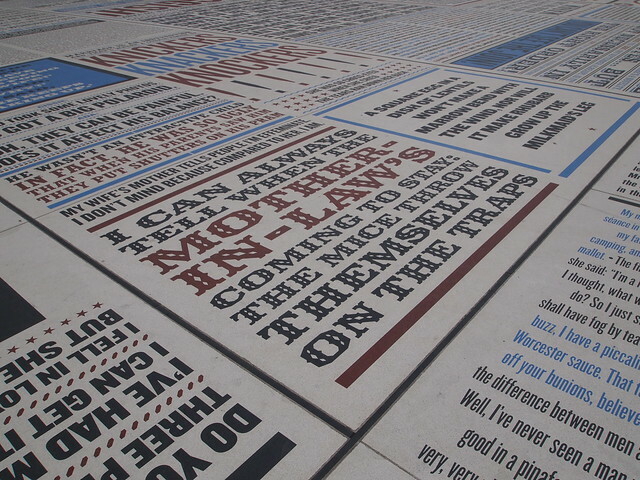 I haven't been to Blackpool for years and would love to visit again.